The Indonesian island of Sulawesi was impacted by a monstrous earthquake and tsunami on Friday, September 28. The magnitude 7.5 quake cut off power to the tsunami alert system, leaving residents totally without warning when the resulting 20-foot-high tsunami broke upon the island. The Indonesia AG has 31 churches in Central Sulawesi. Four churches we know of are completely destroyed, four have minor damage, and the status of 23 remains unknown. 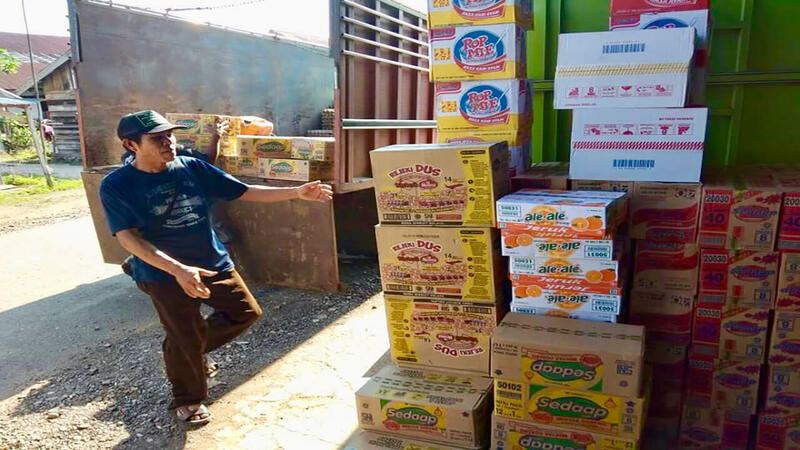 The Indonesia AG has already sent the first truckload of relief supplies to affected communities, and it is expected to arrive in Palu around 2 a.m. Tragically, 180 Christian students were having a retreat at a school which was hit badly by the tsunami, and 100 are still unaccounted for—including the daughter of an Assemblies of God pastor. Please pray for the family of the missing girl and for the many others affected by this major disaster. The AG missionary in Indonesia who is closest to the disaster will attempt an overland 18-hour trip to reach the affected area. A team from Convoy of Hope will arrive in Indonesia on Thursday to help with assessment of needs. The government is restricting access to the area, even by humanitarian organizations. Because we already have people on the ground, we are able to minister to fellow believers in the AG churches. As well, through those churches, desperately needy people will be served in surrounding communities.